As low as $47.95 per gallon! Eliminates the high cost of grease traps and pumps it out permanently! Eliminates stains and malodors, food stains, organic waste, bodily fluids, and organic spills. What are the Features and Benefits of Enzact? 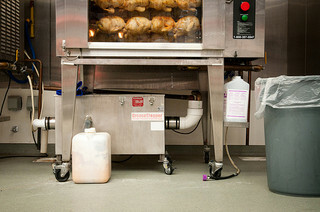 Frequent pump-outs of grease traps can be eliminated by extending the time in between pump-outs. Kill bad odors at the molecular level so they don’t come back - ever! When done cleaning there is a fresh, pleasant scent. 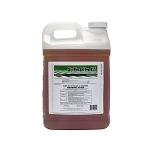 When you break down organic waste with our Enzact drain cleaner you are actually using a billion bacteria colonies to eliminate the core grease and bad odors. Specifically formulated bacteria strains do the hard work. They target complex carbs and simple food molecules like starch. Then they break them down and liquify. In addition, our specific formulation of designer bacteria resist high temp water and chemicals like quat disinfectant and concentrated chlorine. Over at Lowes Home Improvement this type of product at a lower dilution ratio is expensive. Similar cost savings can be had when comparing to Home Depot drain cleaners. 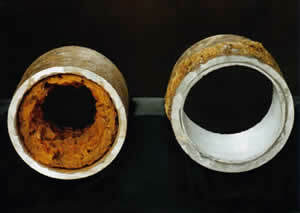 Now Enzact works best when used consistently in your grease and trap drain system. To that end, follow the directions which are clearly marked on the container. There you can find out what your application times and doses should be for your specific application. But no worries because we have you covered. After your purchase contact us via phone, chat, or email to go over any questions you are not sure of. Our knowledgable staff will be sure to give you the best answers. When you combine the explosive bacteria eating power of ENZACT grease and trap drain cleaner with the support of our knowledgable and trained service professionals you get true results and the best of both worlds. 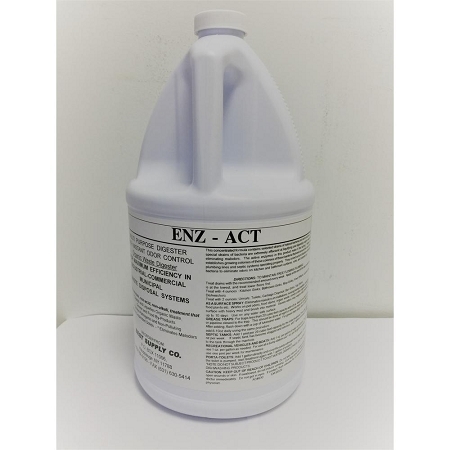 You cannot find this Enzact Enzyme drain cleaner at Lowes or Home Depot. Good stuff-ate all the grease in my traps, don't need to pump 'em out this month. got rid of all the nasty odors coming out of the draines. Ill buy some more as I need it...saves me money.